The Electronic Blaine Apparatus, Dyckerhoff system is a semi-automatic device with pump and time registration for the rapid determination of specimen characteristics. 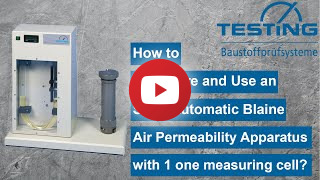 This device is a semi-automatic cement air permeability tester used for the determination of the specific surface or Blaine value. Once the test material is set inside the chambers, the test procedure is able to measure the values for the user. Measuring cell dia. is 41 mm (1.6"). Volume of measuring cell is approximately ca. 75 cm3. Unit includes apparatus, measuring cell, filter papers ø41mm 500pk, fill oil 150ml, tamper and dust filter ø13mm. 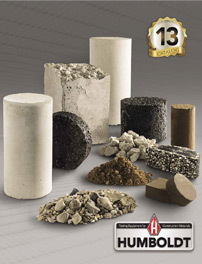 For additional information about cement testing equipment, click here.